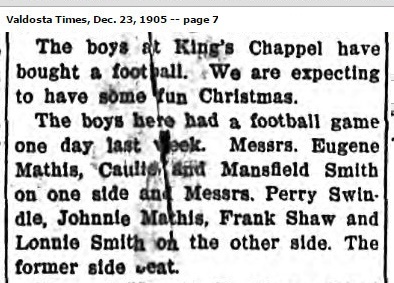 The boys at King’s Chapel have bought a football. We are expecting to have some fun Christmas. The boys here had a football game one day last week. Messrs. Eugene Mathis, Caulie and Mansfield Smith on one side and Messrs. Perry Swindle, Johnnie Mathis, Frank Shaw and Lonnie Smith on the other side. The former side beat. Mose Clements Lee was born November 14, 1916, the sixth child of William David Lee and Mollie Bell Clements. His siblings were Vivian Lee, Fannie Lee, Ruth Amanda Lee, Willie E. Lee, and Mary E. Lee. At the time of his birth, the family home was in a two-room log cabin near Ray City, GA. About 1917, his parents ordered a “Modern Home,” The Avondale, No. 151, from the Sears Modern Homes Mail Order Catalog. The materials were probably shipped via the Georgia and Florida Railroad to Ray City, then carried by wagon to the Lee farm about three miles east of town where the home was were assembled. 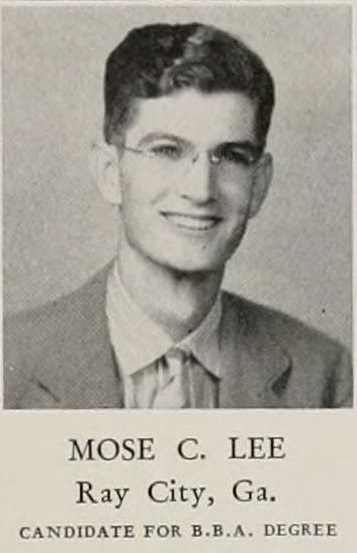 After completing high school Mose C. Lee attended the University of Georgia. He was employed as an airplane mechanic. On November 25, 1942 he enlisted in the Army at Fort Mcpherson in Atlanta. After the war he returned to UGA where he completed his Bachelor of Business Administration and graduated on June 14, 1946. 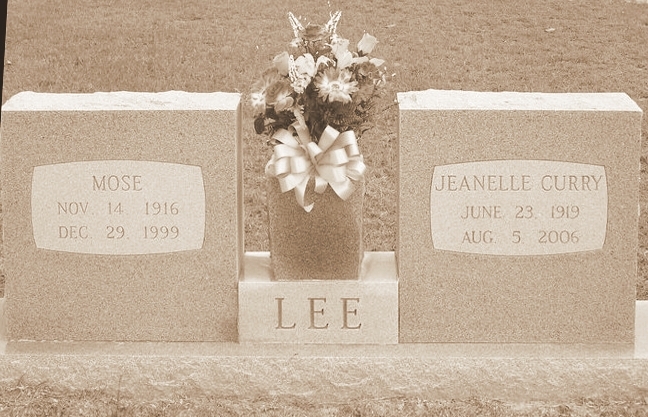 He later returned to live in Lanier County, GA.
Mose C. married Jeanelle Curry, of Greenwood MS and they made their home in Lanier County, GA.
Mose Clements Lee died in 1999 and Jeanelle died in 2006. 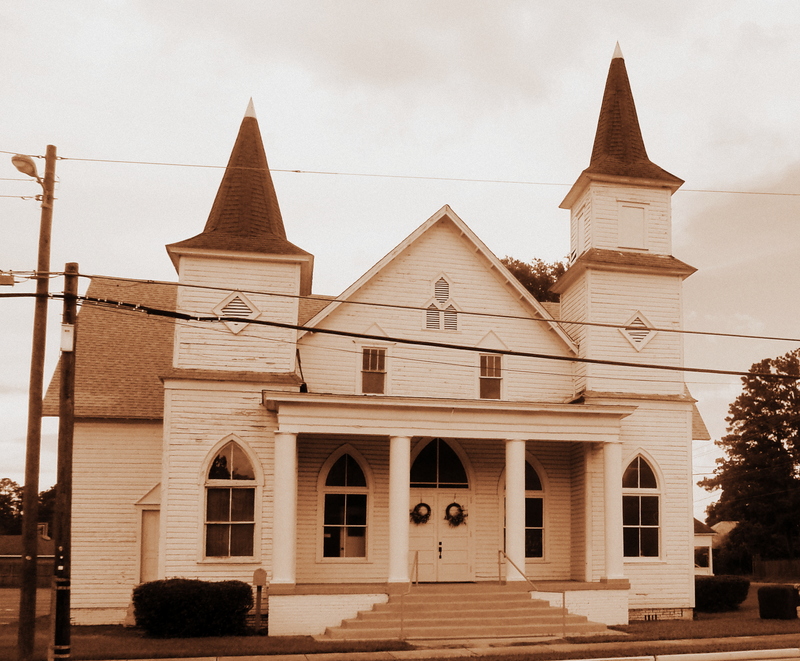 The Lees are buried at the city cemetery in Lakeland, GA.
Omar Alvin Huff and Gerald Elvin Huff, of Ray City, GA were sons of Paul E. Huff and Mary Lou Lightfoot. 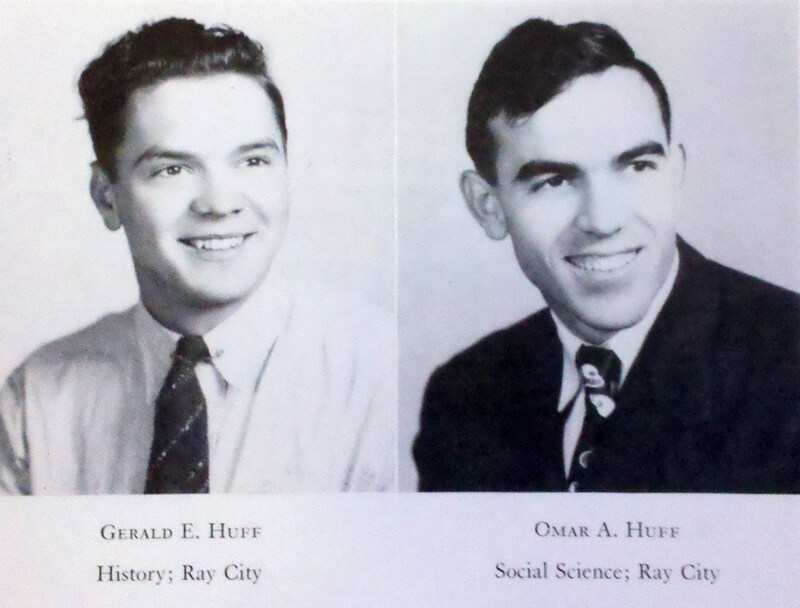 Gerald Huff graduated from the Ray City High School with the Class of 1946. 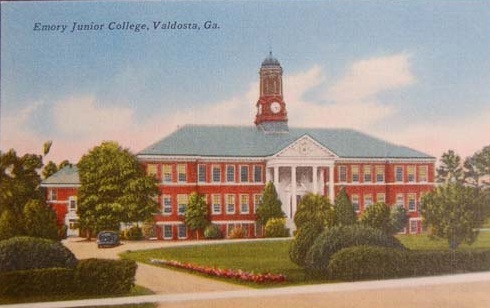 The brothers attended Emory Junior College in Valdosta, Georgia in 1947-1948. At Emory, they were classmates of Robert J. Starling. The Huff brothers both transferred to the University of Georgia. 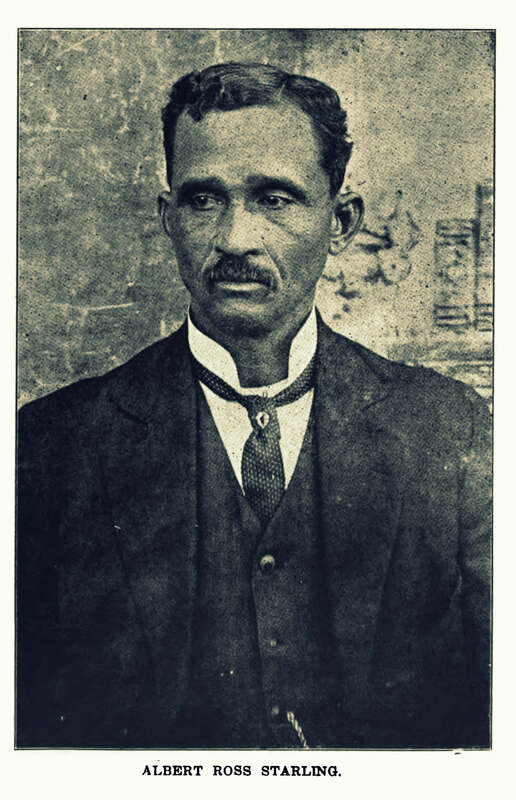 At UGA, Omar Alvin Huff studied law. He was a member of the Delta Theta Phi, National Law Fraternity and received his law degree with the class of 1950. He later moved to Melrose, FL. Gerald Elvin Huff was a member of Alpha Phi Omega, National Service Fraternity, and received his Bachelor of Arts degree from UGA in 1950. After graduation, Gerald E. Huff returned to the Ray City, GA area and in 1952 coached the New Lois boys basketball team. He later moved to Orlando, FL. Gerald Elvin Huff of Orlando, FL, died February 25, 1993. He was buried at Greenwood Cemetery, Orlando, FL. GERALD ELVIN HUFF SR., 64, 1401 S. Ferncreek Ave., Orlando, died Thursday, Feb. 25. Mr. Huff was a senior marketing representative for an insurance company. 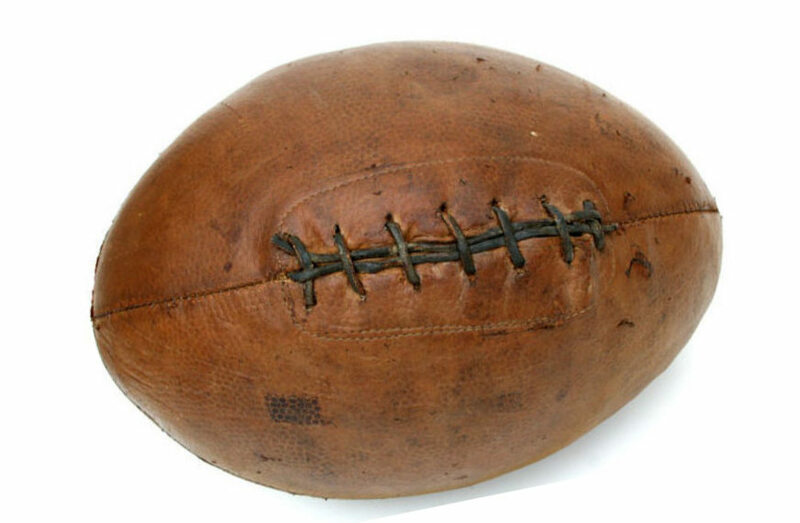 Born in Tift County, Ga., he moved to Central Florida in 1961. He was a Baptist. Survivors: wife, Emma Belle; sons, Jerry, Steve, both of Orlando; daughters, Ann Mims, Orlando, Lynn Roney, Lake Mary; brothers, Omar ”Pete,” Melrose, Mike, Lake Park; sisters, Thelma Waller, Ashburn, Ga., Lois Blair, Deltona, Betty Sirmans, Peggy Exum, both of Hahira, Ga.; six grandchildren. Carey Hand Garden Chapel Home for Funerals, Orlando. Omar Alvin Huff (JD ’50) of Melrose, FL, died August 3, 2011. He was buried at Eliam Cemetery, Melrose, FL. Mr. Omar Alvin Huff “Pete” , 88, of Melrose, [Florida] passed away Wednesday August 3, 2011 at his son’s home in Hawthorne following an extended illness. 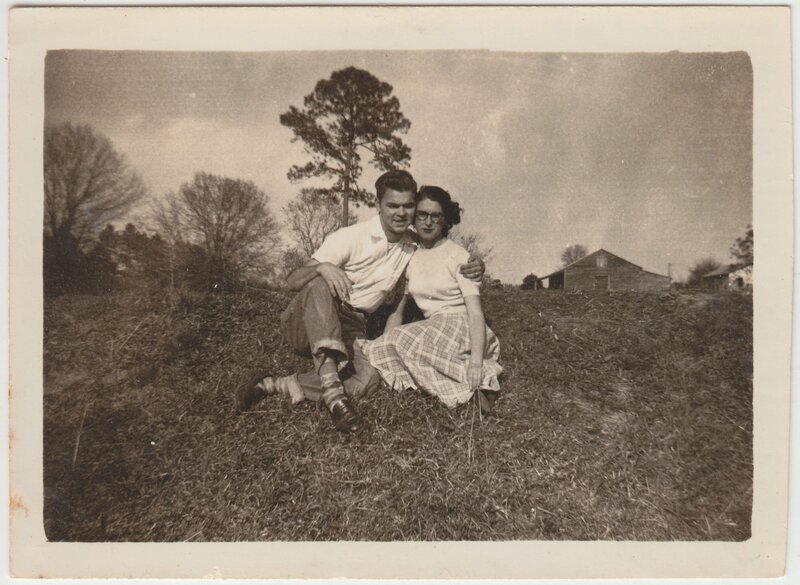 Mr. Huff was born in Chula, Ga. (Tift County) on Jan. 14, 1923 to the late Paul E. and Mary Lou (Lightfoot) Huff. He had served in the United States Navy, and retired as a Manager in the Insurance Service Offices. He was a member of the Trinity Baptist Church and was active with the Campers on Mission. His wife Helen, daughter, Betsy Huff Fritsch, daughter-in-law, Elizabeth J. Huff, and six siblings had preceded him in death. 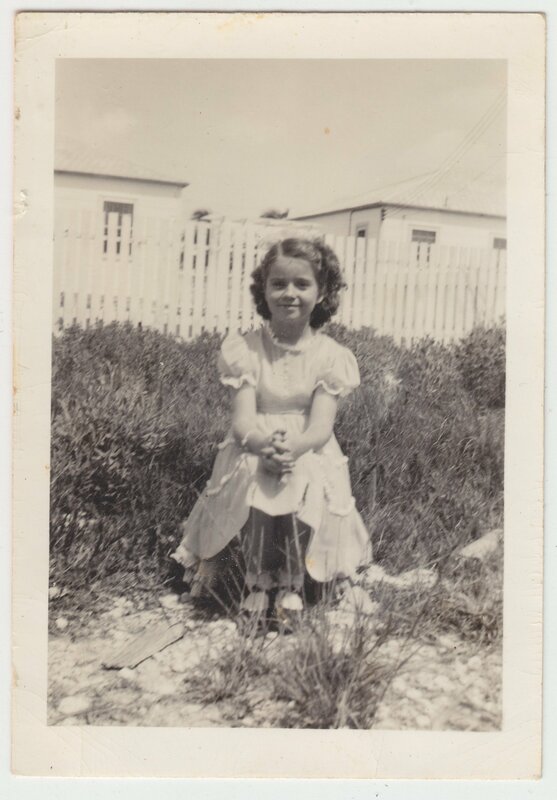 Survivors are his children; Teresa Huff Jones (Ralph) of Green Cove Springs, Paul A. Huff (Barbara) of Interlachen, and Thomas G. Huff (Sally) of Hawthorne. He also leaves behind his sister, Peggy Exum of Valdosta, Ga.; 11 grandchildren; and many great-grandchildren. A viewing for Mr. Huff will be held on Monday, Aug. 8, 2011 in the Jones-Gallagher Funeral Home from 6-8 p.m. Funeral services will be held on Tuesday, Aug. 9, 2011 at 10 a.m. in the Trinity Baptist Church with Pastor James Peoples and Pastor Scott Stanland officiating. Burial will follow at the Eliam Cemetery in Melrose.